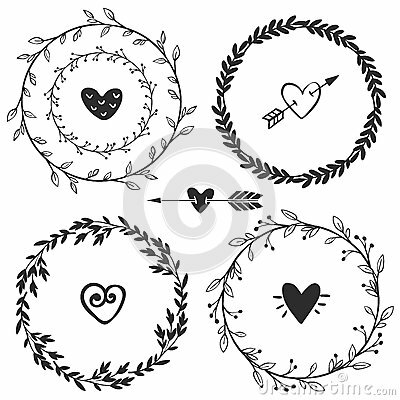 Hand drawn rustic vintage wreaths with hearts. Floral vector graphic. Nature design elements.